As you perhaps might know, TechEd North America has kicked off today, already with some fantastic new things and improvements to report. One of them is regarding to Operating System Deployment with the Microsoft Deployment Toolkit. As stated by other persons on the web busy with Operating System Deployment, Microsoft isn’t any longer showing how one can perform an Operating System Deployment with MDT, but it is exactly telling us what to do, and how it can be achieved. I’ve taken the liberty to embed the first two episodes of Deployment News on this blog! Just a quick post to inform you about the GPO’s that will be automatically configured when configuring Direct Access. Today I’ve done a Server 2012 R2 Direct Access implementation, and part of this configuration is that the Direct Access Configuration Wizard will automatically create two Direct Access GPO’s in your Group Policy Management. However, the GPO for Clients is configured with a WMI filter, so that if the rules stated in the WMI filter apply, the policy will be set on the system. as we can see here the second query, looks for machines which are: ProductType 3 (Server) which run: Version 6.2 (Windows 8) and have OperatingSystemSKU: 4 (Enterprise) or run Version 6.1 (Windows 7) and another set of SKU’s. This way the WMI filter, filters accordingly to a Windows 8.1 Enterprise operatingsystem running on a Workstation. 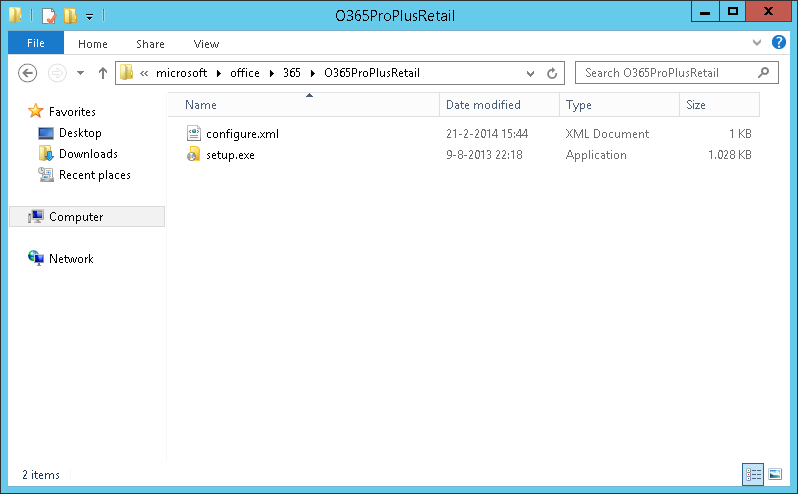 Alternatively you can simplify, adapt er even completely remove the WMI query and just apply the GPO to a specific OU. However DirectAccess configures the GPO next to the default domain policy at the toplevel of the domain thus applying to all OU’s and Objects if it wasn’t for the WMI filter. Hope this blog can be of use when configuring DirectAccess and prevent any delays when troubleshooting! Not every blog needs to be technical, sometimes clustering information, that is shattered over the internet can be useful too! This time I want to explain how Office 365 can be deployed unattended, automatically, first time right! On my journey into all the new stuff (for me at least), I’ve encountered allot of things in the past couple of months. Automatic deployment of bitlocker on Windows 8.1, Intune, Server 2012 (R2) etc. 1. 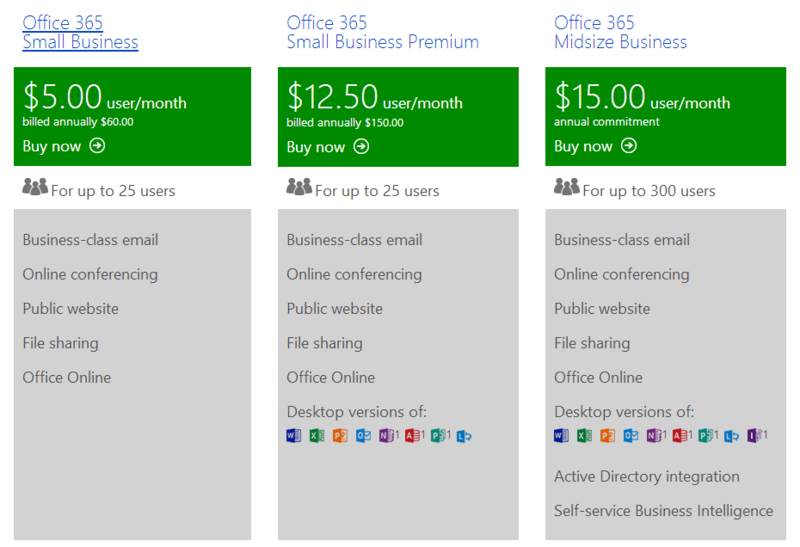 Know which Office 365 plan you have! First of all, there is this website: Compare Office 365 for Business Plans this Microsoft website explains the number of Office 365 plans that are available and lets you as a customer, reseller or company choose which plan suits best for your purpose. 2. Know which Product ID you need! 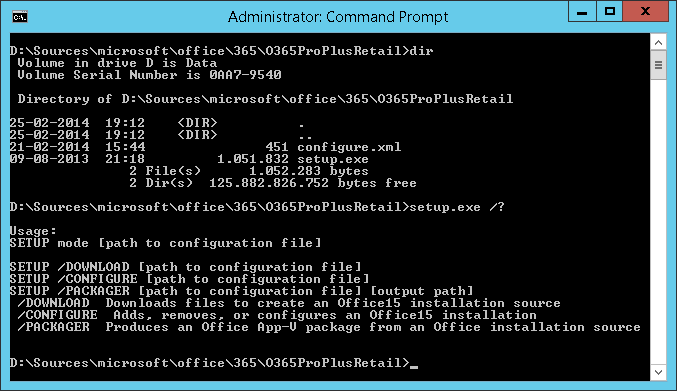 These product Id’s come in quite handy, when trying to retrieve the Office 365 click-to-run files, which are no ordinary setup.exe and some source files, but rather exist out of several cab files (depending on what you are downloading) and a number of *.dat files containing the source files. 3. 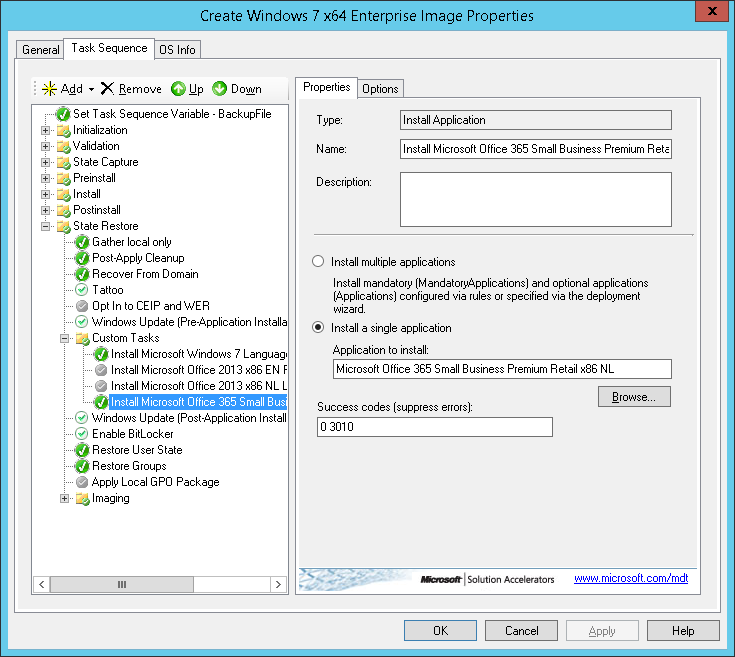 Acquire the Office Deployment Tool for Click-to-Run! The purpose of each switch is explained in the command prompt. Create one “configure.xml” for downloading and call it “download.xml”, and one “configure.xml” for installation and call it “install.xml”. This way it’s not necessary to change the xml file ever again. 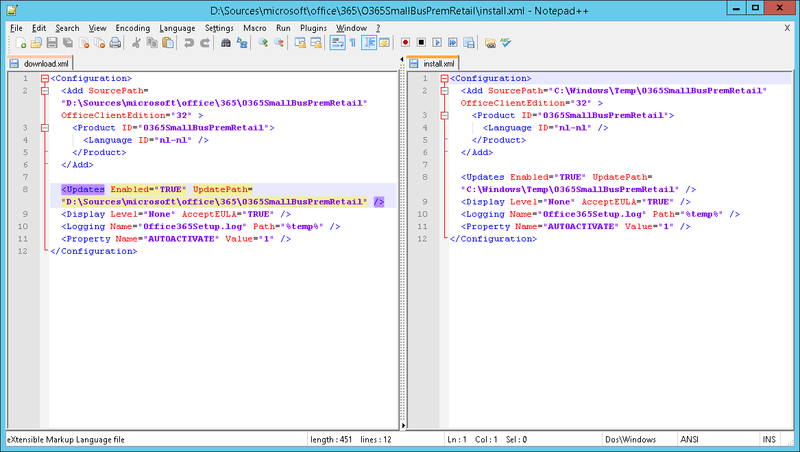 Since within the configure xml a download directory is specified, but this directory also functions as a source folder. That’s the reason why I used two xml files, since the download and source directory can be different. It copies the source to the local %temp% directory into a seperate folder. It executes the installation of Office 365 click-to-run locally, and unattended, and when done, cleans up the temp folder. as you can see I’ve used one of the desired Product ID’s specified by Microsoft’s website, I’ve specified on the download.xml a source path where the files can be stored, and on the install.xml the source path for installation. and embedded this step as an “install application” step in my task sequence. Since I use this task sequence to build reference images, I’ve disabled other versions of Office and added the Office 365 click-to-run as an application to be installed. 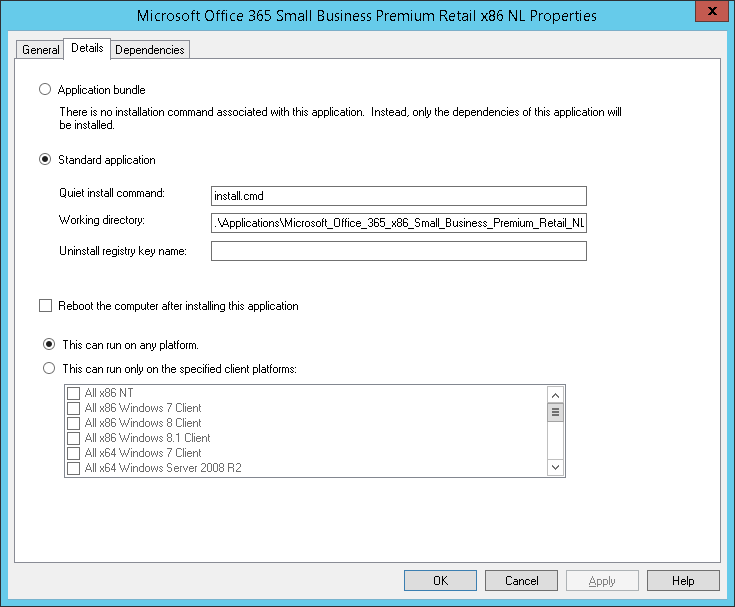 Deploying Office 365 click-to-run isn’t that hard to do, you just need to know where to look and how to approach the installation. Keep in mind that whatever Office version you download, this software is not branded to one Office 365 account. The software is universally applicable. Since after the deployment you always need to sign into Office with your Office 365 account, thus activating 1 out of 5 available installations for this account. Anything to report, contribute or have done deploying Office 365 click-to-run in any other (efficient) way. Please feel free to contribute in the comments, or write me an e-mail or contact me at twitter!